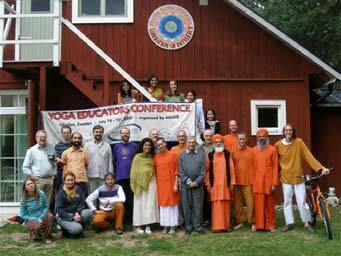 The Third annual YEC (Yoga Educators Conference) took place in Ydrefors from July 14-19th, 2009 with 40 participants. The program kicked off with a special presentation by Dr. Dhanjoo Ghista on “The Science of Sahaja Yoga”. It was followed by a very illuminating talk by Dr. Shatatman on “Mudras, Bandhas and Vedhas”. 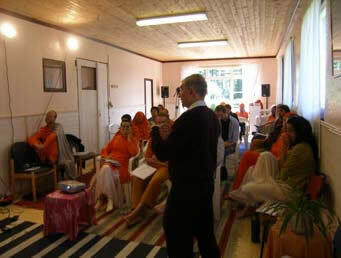 Dr. Madhuvanii from Portugal gave an inspiring, informative and illuminating presentation on Yogic Medicine. The practical yoga class was led by Christian Franceschini who is an expert in teaching yoga to all ages, including children. In addition, special topics for this year included: Yoga and Meditation for Teenagers; Case Studies in Yoga Therapy; Tantra through the Ages and Tantric History of Tibet. On the sidelines of the YEC, there were also meetings of the Faculty of Yoga and Intuitional Science and of the Faculty of Medicine. It was resolved to establish a special Yoga training Course for MDs. The meetings were conducted by Dr. Dhanjoo Ghista, Upakulapati of AMGK under the chairmanship of Kulapati, Ac. Shambhushivananda Avadhuta. 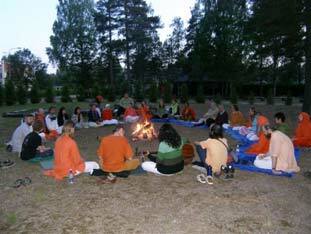 The Fourth Yoga Educators Conference will also take place in Ydrefors from July 18-22nd, 2010. The tentative cost will be 125 euros. Pre-registration deadline will be March 31, 2010.